With today’s launch of Verizon’s ALLSET prepaid plan with 4G LTE, a pretty solid deal on the LG G2 has come along for the ride. Should you decide to join the prepaid world, you can add-on a brand new G2 for $299. That is without a contract, of course. 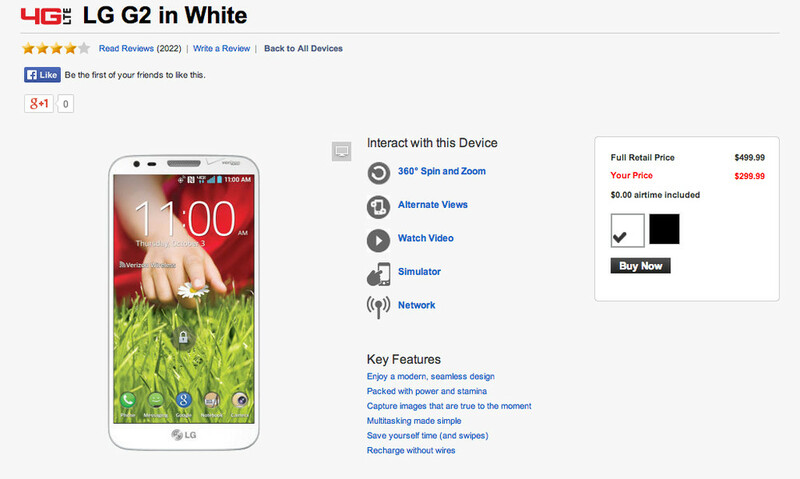 If you were to buy the same G2 without ALLSET, it would run you $499. At $299, we are talking lower than Nexus 5 levels here, but you are getting a phone that is arguably better. Keep in mind that the G2, even though it is about a year old, is probably the most underrated phone from last year. It has a gorgeous 1080p LCD display, crazy good battery life, an awesome camera, and is pretty hack-able for the most part. You can grab either the white or black model for $299.